Neil Finn joining Fleetwood Mac seems a bolt out of the blue - until you know the backstory. Bruce Munro talks to Mick Fleetwood about line-up changes, friendship with the Finn family and 50 years of making music with one of the world’s great bands. "Hello, hello,'' a rich, friendly, veteran voice says out of the ether. It is a week out from the post-Christmas reboot of Fleetwood Mac's year-long world tour; a tour that will close with a concert at Dunedin's Forsyth Barr Stadium, on September 21. So, is Mick Fleetwood, the co-founder of one of the world's biggest selling bands, busy getting ready? "I'm in Maui, at home,'' 71-year old Fleetwood replies. "I live in Maui, so I have no complaints. "If your readers want a visual, I'm in an area called Kula, which is on the side of Haleakala crater. We hope it doesn't explode,'' he says dryly. Is that the one spewing lava, slowly swallowing suburbs? So, no, not a lot of rushing around right now. The hard yards were done in the lead up to the 50th anniversary tour that kicked off in October. "We had a major change in Fleetwood Mac, parting company with Lindsey Buckingham,'' he says. Neil Finn and Mike Campbell both have "huge pedigrees of their own'', Fleetwood says. Finn as the the Kiwi singer-songwriter and musician of Split Enz and Crowded House fame. Campbell as the American guitarist with and songwriting partner to Tom Petty and the Heartbreakers. "We as a band, including them, took time to integrate; [to work out] how we were going to approach them being in Fleetwood Mac. The first 30 shows, all in the United States, have been "incredible'', he enthuses. The tour relaunched with a concert in Denver, Colorado, on Thursday. The band played Sioux Falls, South Dakota, on Saturday. There are a further 23 gigs in the US during the next two months; then they tour Canada, in April, and Europe, in June, before heading Downunder for the tail-end of the southern winter and the beginning of spring. "We're on a creative, musical roll. We're all incredibly happy. It's musically stimulating and productive. 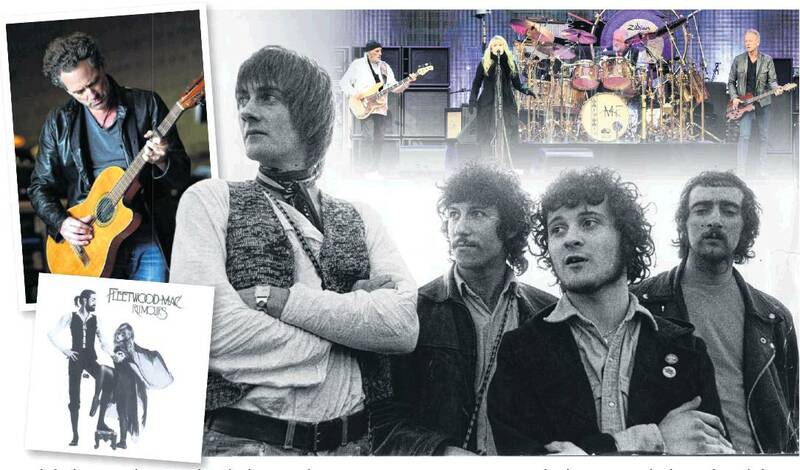 It is simply the next scene in the tumultuous, five decade long, musical stage play called Fleetwood Mac. A show that has seen plenty of plot twists, musically and in the storyline. Fleetwood Mac began as a blues band in London, in 1967, founded by guitarist Peter Green, drummer Mick Fleetwood and guitarist Jeremy Spencer. One of their early hits was the blues rock number Black Magic Woman, a song on the setlist for this retrospective tour. Bass player John McVie joined in 1968. Keyboardist Christine Perfect married McVie and joined the band in 1970. Band members came and went. By early-1975, Fleetwood Mac had its classic line-up - Fleetwood, the two McVies, guitarist Lindsey Buckingham and singer Stevie Nicks. Rumours, their 11th studio album, was released in 1977. By now, the band's sound had changed dramatically. Rumours was a deliberately pop rock album. With hits including Go Your Own Way, Dreams, Don't Stop, it won a Grammy for Album of the Year. It has sold more than 40 million records. Tango in the Night, released a decade later, became the band's second biggest selling album. Hits included Big Love, Little Lies and Seven Wonders. Lush, melodic and pulsating, it has been described as a "pop and production masterpiece''. As individuals and as a band, however, Fleetwood Mac had been in turmoil for years. Relationship splits and drug abuse had caused deep fractures. Buckingham left in 1987, Nicks in 1991. The classic line-up did not officially reunite until 1997. That lasted a year. But the band continued to play ... and record and tour. DURING five decades of music, Fleetwood Mac has sold more than 100 million records. Given, the band's ructions, its survival, let alone such success, is remarkable. "Whether it's luck, or some form of choice talent, we survived, unbelievably, with major, major stylistic changes,'' Fleetwood says. He gives "huge kudos'' to any and all band members who have brought positive change and innovation. Running through it all, Fleetwood can see a unifying thread. "John and I, as the rhythm section, joke about it ... We might suffer from the fact that me and John have just never given up. It is the second time Fleetwood has mentioned Buckingham by name. It is interesting, given that the tour publicist had said he would not be answering any questions about Buckingham's sudden departure from the band, "so, please don't ask him''. In an interview given in October, remaining members of Fleetwood Mac said last year's split came because Buckingham wanted to postpone the up-coming tour. Buckingham has said he believes Nicks gave the rest of the band an ultimatum - him or me. With a sizeable hole left by Buckingham's exit, and a world tour looming, Fleetwood Mac, once again, needed new blood. How, given all the musicians to choose from worldwide, did they end up with Neil Finn from New Zealand? To hear Finn on the topic, it seems a wonderful, but inexplicable, mystery. In an interview published a fortnight ago, the Auckland-based musician said, "I never saw it coming at all. It completely came from left field''. Speaking from Hawaii last week, however, Fleetwood has a different, fuller tale to tell. "I've known his music, from Split Enz and Crowded House, but I didn't know him personally,'' Fleetwood says. "Maui became the catalyst. Everyone flew in and within minutes it was very evident that this was going to work. The natural assumption is that theirs is a recent meeting, perhaps as recent as that Maui jam session. But, no. Try, two decades ago. That concert at the Royal Albert Hall, in London, was in April, 1999. Linda McCartney had died the previous year after a long battle with cancer. "That night I was not playing, I was in the audience. We ended up spending the whole evening talking, after the concert, at a [party] Paul put on. FLEETWOOD believes that at that time Finn was thinking about what he was going to do outside of Crowded House. Finn's band, with its chart-topping hits Don't Dream It's Over and Something So Strong, had formed in 1985, in Melbourne, Australia, and disbanded in 1996. Crowded House reformed in 2007, producing two more albums. In 2016, Finn said the band, which has sold 10 million records, was on hiatus. He has also released several successful solo albums. Fleetwood's dawn-of-the-millennium collaboration suggestion never happened. It was the 2015 Vodafone New Zealand Music Awards, during Fleetwood Mac's most recent New Zealand tour. Fleetwood attended the awards and was asked at short notice to present the Album of the Year award to Broods. "We met back stage and Neil said, do you remember me from that night? I said, of course I do. Finn phoned him a day or two later and they went to dinner. Fleetwood and his girlfriend Chelsea have been back to New Zealand, to spend time with the Finns. They stayed for five weeks. During the holiday, Fleetwood played drums on Finn's first collaborative album with his older son Liam. The album, Lightsleeper, was released in August. Fleetwood is credited on three tracks. "So, it made a hell of a lot of sense ... When we parted company with Lindsey, of course we were looking at all sorts of options. "In the back of my mind I'd always thought Neil would be someone ... I was always very confident about it. But I'm just one member of the band. The idea of asking someone of Finn's calibre to audition did not sit comfortably with Fleetwood. "But he said, 'You're right, you can't really get around it, I'm coming to try out'. One more question. The tour setlist has included Don't Dream It's Over. Why that song? "God knows I've always loved that song. It was profoundly timely for me at a certain period in my life ... I needed to hear that song. "That was my entree to our friendship. Fleetwood Mac plays Forsyth Barr Stadium in Dunedin on September 21.